Program Objective: Create an interactive promotion to drive product trial and purchase for Milky Way Bars. Solution: In the effort to increase sales for Mars Snackfood U.S. iconic Milky Way Bar, Turtle Transit retrofitted a 1970s-era station wagon, dubbed the Milky Way Wagon, for a National sampling program to hand-out free bars to the community. 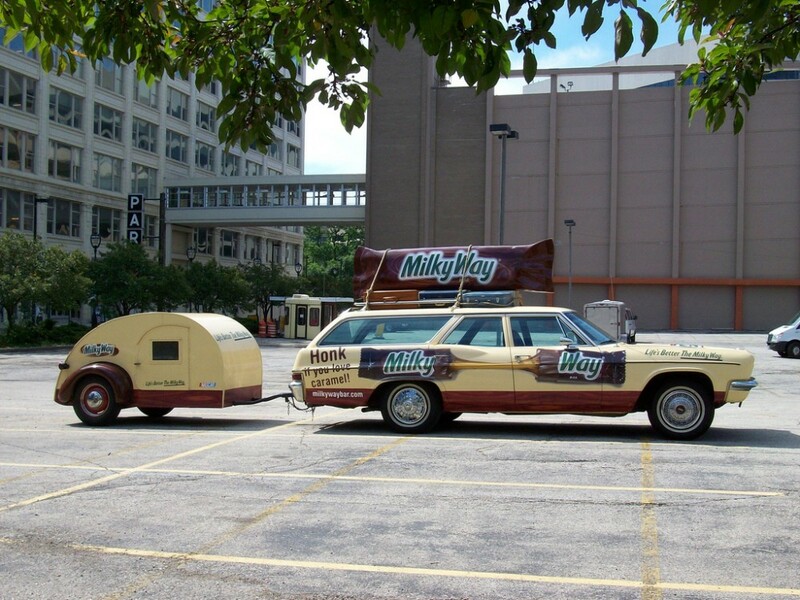 The Milky Way Wagon featured a giant sculpted Milky Way Bar strapped to the roof among various vintage luggage pieces. 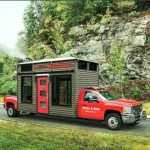 The vehicle design represented a vintage family vacation vehicle and towed a small tear drop trailer. 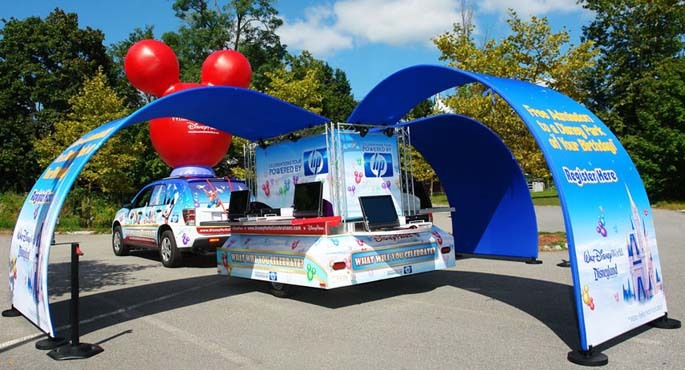 The Milky Way Wagon traveled across the country and stopped at fairs, festivals and NASCAR events. 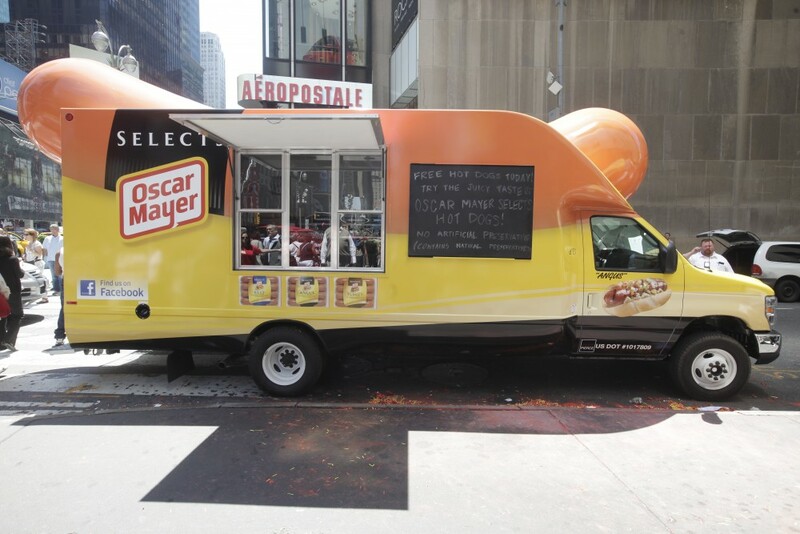 During activation, brand ambassadors handed out coupons and held hourly raffles for giveaways. An interactive green screen also allowed people to pose in front of a vintage photo of the Milky Way Wagon and trailer. 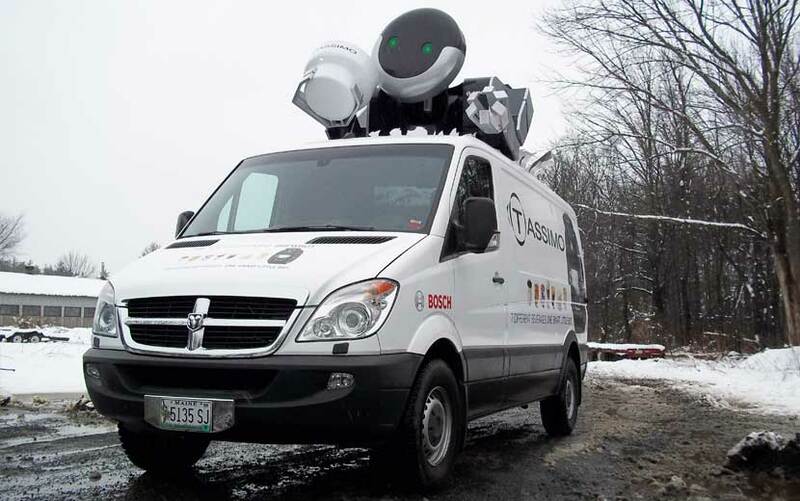 The sampling program distributed over 285,000 samples, 98,000 coupons and 10,000 photos were taken with the vehicle.